McDaniels carries a full line of shower doors. Our showroom features working displays of all the major types of shower doors available. 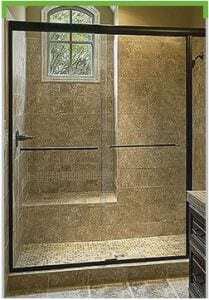 We routinely design shower doors into bath remodel projects, and replace existing doors that you may have. You can order them as a DYI project or we are happy to install them for you. The Bypass series offers beautifully-crafted frameless, semi-frameless and framed door options. 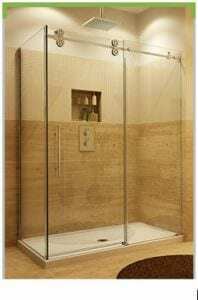 Choose from 3/16˝ , 1/4˝, or 3/8” glass and create your unique shower enclosure. 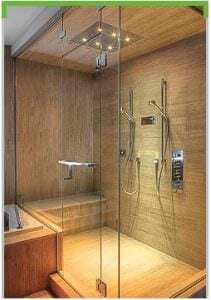 Choose hardware that enables a virtually limitless variety of shower door to meet your needs. 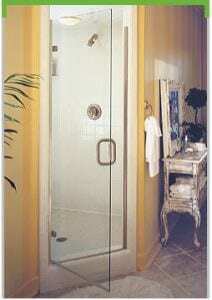 This Euro style frameless enclosure displays a clean modern elegance. Available in 3/8˝ or 1/2˝ glass, nearly any custom application is possible with different hardware configuration options. Work with McDaniels to create the shower experience you desire. McDaniels is proud to offer ready to install shower systems by Fleurco (www.fleurco.com). Fleurco shower door and panel systems offer euro styling and framed or frameless options. Swing Doors, sliding doors and bypass doors plus options for finishes and more make Fleurco the choice for discriminating designers.